Nestlé Purina PetCare Company is recalling a limited amount of Muse wet cat food Natural Chicken Recipe in Gravy. The product may contain pieces of rubber that are translucent yellow with a blue backing, which may present a potential choking hazard. The are no reports to date of injury or illness to cats fed this product. Hill’s Pet Nutrition is expanding its earlier recall of canned dog food. The products contain elevated levels of vitamin D, which can lead to potential health issues depending on the level of vitamin D and the length of exposure. Dogs may exhibit symptoms such as vomiting, loss of appetite, increased thirst, increased urination, excessive drooling, and weight loss. The U.S. Food and Drug Administration (FDA) has confirmed that the agency is investigating NUTRO pet food, following a series of unexplained illnesses and deaths. Consumers have been complaining for more than two years that their pets have become ill after eating NUTRO products; many have recovered when they were switched to other foods. The company has steadfastly denied that its food is to blame. A worrisome health trend among dogs and cats across the country has surfaced in the past few months. Scores of pets from California to South Carolina have experienced sudden and recurring bouts of diarrhea, vomiting, and other digestive problems. Through an examination of reports submitted by readers, ConsumerAffairs.com has uncovered a common link among these pets: They all ate the same brand of food: NUTRO pet food. The hogs were slaughtered in California's Central Valley after eating feed that contained rice protein tainted with melamine, the industrial chemical that has sickened and killed dogs and cats around the world. FDA Blocks Nutro Pet Food Shipment from Entering U.S.
Products "appeared to contain poisonous substances and unsafe additives"
The Food and Drug Administration (FDA) in July blocked more than 100 Nutro Products -- various styles and flavors of its dog and cat food -- from entering the United States. ConsumerAffairs.com learned the FDA took that action at the Port of Los Angeles -- and listed Nutros pet food on its Import Refusal Report -- because the products appeared to contain poisonous substances and unsafe additives. Merrick Pet Care, Inc. of Amarillo, Texas is recalling the Jr. Texas Taffy pet treat (ITEM # 27077, UPC # 02280827077, All Lots up to and including 10364) because they have the potential to be contaminated with Salmonella. 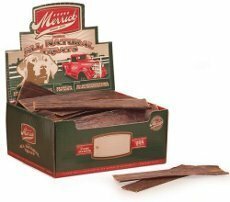 Merrick Pet Care has made the decision to recall all Jr. Texas Taffy pet treats in the abundance of caution. Salmonella can affect animals and there is risk to humans from handling contaminated pet products. People handling the treats can become infected with Salmonella, especially if they have not thoroughly washed their hands after having contact with the chews or any surfaces exposed to these products. Consumers should dispose of these products in a safe manner by securing them in a covered trash receptacle. For more than a year, NUTRO Pet Products has shrugged off consumer complaints about dogs and cats becoming ill and even dying after eating the company's food. The company's public relations agents have insisted the food was "100 percent safe" and both NUTRO and the taxpayer-supported agency charged with regulating the safety of animal feed — the Food and Drug Administration (FDA) — have denied there is any kind of investigation into NUTRO products. But today, the FDA announced a recall of more than 20 kinds of dry NUTRO cat food that has been sold in at least 11 countries, including all 50 states in the U.S. The FDA allowed the company to write the press release, which was then posted on the official FDA Web site. The company-written statement repeatedly stresses that the recall is voluntary and pins the blame on an unidentified supplier who supposedly allowed excessive levels of zinc and under-supplemented potassium in its premix. (Complete list) The company takes credit for finding the problem. As usual, the company claimed it has received no consumer complaints about the recalled cat food but said cat owners should monitor their cat for symptoms, including a reduction in appetite or refusal of food, weight loss, vomiting or diarrhea. If a cat is experiencing health issues or is pregnant, consumers should contact their veterinarian. However, among the more than 800 consumer complaints ConsumerAffairs.com has received about NUTRO products since 2007, many have been about illnesses and deaths involving cats. Many of the aggrieved consumers also contacted NUTRO. "I was approached by a rep for Nutro Cat food in January 2009," said Jean of Terre Haute, Ind. "I told her we had just adopted two Ragdoll kittens and she told us that Nutro brand was so good and natural and she had Ragdolls and it would be very good for them, etc. We purchased it and slowly changed their food over to Nutro. They began vomiting yellow and were shedding hair like crazy and had gas, etc. I found this site and was horrified to read what folks have been going thru and ... dodged a bullet by switching cat food immediately." Linda of Richmond, British Columbia, tried to speak to NUTRO about one of her cats began vomiting after eating NUTRO and another refused to eat it. "I got worried and phoned their company and was eventually yelled at by Diane, the consumer receptionist. I contacted the store where I bought it, and was told another client complained of a very sick cat. A rep contacted me and was rude to me. I ended up throwing the crap out and putting them on Kirkland cat food. My cat gained back ALL of her weight within 2 months. I was treated very badly by those roaches at Nutro." Besides publishing NUTRO's carefully-crafted and self-congratulatory press release verbatim — and without making any attempt to verify the truth or falsity of the claim that the company had not received any complaints about the problem — the FDA has for months gone out of its way to avoid giving offense to the company, owned by the powerful Mars Corp., of McLean, Va., one of the world's largest pet food and candy producers. When ConsumerAffairs.com asked FDA about the consumer problems with NUTRO — which are many times more numerous than for other brands of pet food — the agency had little to say. Reporter Lisa Wade McCormick last spring filed a Freedom of Information Action (FOIA) request last spring, asking for all consumer complaints, investigatory reports and lab tests that the agency had in its files. After the usual delay of many months, the agency's Center for Veterinary Medicine (CVM) responded, saying it did not have any such documents and referred the request to other FDA departments. The request was eventually denied on the grounds that supplying the documents would jeopardize ongoing investigations. Questioned by McCormick, an FDA official who spoke on the condition of anonymity said that the request was denied because the agency was investigating NUTRO. But just a few days later, the CVM — which had already conceded that it would have no responsibility for such an investigation — issued a press release claiming that NUTRO was not being investigated and asserting that reports otherwise were in error. Earlier this week, ConsumerAffairs.com appealed the agency's latest refusal to release the documents. "Though the reports on whether the FDA is investigating Nutro have been conflicting, the FDAs official position is that there is no pending investigation of Nutro. Therefore, the FDA may not rely on the 'law enforcement' exemption of FOIA because, according to the FDA, there is no pending enforcement proceeding against Nutro," said Cameron Stracher, a New York attorney who represents ConsumerAffairs.com. Despite the FDA's denial that it is investigating NUTRO, consumers have confirmed that FDA inspectors came to their homes investigating their pets' deaths. In one instance, the FDA investigator told a consumer that he had learned of her pet's death by reading her complaint on ConsumerAffairs.com. "The FDA's odd insistence that there is no investigation — when all the evidence indicates that there is — leads to an even more obvious and urgent question," said James R. Hood, president of ConsumerAffairs.com. "If the agency is telling the truth and there is indeed no investigation, it seems logical to ask, 'Why isn't there?'" "One would think that NUTRO and the FDA would be curious as to why so many pet owners have reported their animals became ill after eating NUTRO products and — in some cases — mysteriously improved when they were switched to other foods. A public relations blitz won't get to the bottom of it. The FDA needs to stop stalling and do its job," Hood said. Earlier this week, Sherri of Ann Arbor, Mich., wrote about her experience with NUTRO: "My pure bred Portuguese water dog began vomiting, having loose stools and acting lethargic after 4 months on Nutro Natural Choice Herring & Rice Formula. The vet could not explain, blood levels normal, intestinal antibiotics/probiotics given, intestines 2x normal size, surgery revealed no obstructions, every time food was readministered it began again. Vet suggested I stop Nutro after learning about other dogs problems. My dog is now on Natural Balance and is doing perfectly fine." Sherri said she contacted NUTRO about a week ago. They said they'd contact her vet, but so far, they have not, she said. They also said they'd send her an envelope for samples of the food. She said they have yet to do that. In her posting, Sherri urged other pet owners to contact the FDA and ask it to investigate. • Verbatim complaints and comments from consumers. A third pet food company in as many weeks has pulled some of its products off the market. Wysong Pet Food confirmed that it recalled five batches of Canine Diets Maintenance and Senior dry dog food -- manufactured in June and July 2009 -- because the products contain mold. "Penicillium and fusarium mold species have been identified," Lucas Wysong, the company's vice-president, told ConsumerAffairs.com. "All mycotoxin tests conducted thus far are negative with regard to the recalled products." "That we released some product that was not of the highest quality and may have caused any animals harm makes us frankly ashamed and heartsick," he added. ConsumerAffairs.com talked to a pet owner in Hawaii who says her Doberman Pinscher recently died -- and her eight other dogs became sick -- after eating Wysong's moldy food. Lucas Wysong said his family's company is working closely with that pet owner. He called the case "exceptional" and said his company has received only two other minor complaints -- reports of diarrhea -- linked to the recalled food. Wysong told us his company discovered the problem in late September after it investigated customer complaints' of possible mold contamination in the food. In a prepared statement, Wysong said "At first report of potential mold in our products, Wysong launched an internal investigation. Batch records were re-examined, numerous bags of product opened and scrutinized, product samples were acquired from customers, and testing in-house and out-of-house conducted." That investigation, the company said, revealed the problem with the food stemmed from the "unusually high heat and humidity" on the days the products were made in June and July. The company also blamed the higher moisture issues on a "malfunctioning moisture checking device." Wysong said his company notified its distributors about the problem on September 29, 2009. "Once Wysong ascertained that there was mold presence and the potential for mold (based on moisture tests) in certain batches we alerted our distributors, who were the primary recipients of these batches of product," he said. "Distributors were instructed to dispose of the product, as well as pull product from stores that had already received the product." The company also said it contacted stores that received the recalled product and asked them to remove the food from store shelves. In addition, the company destroyed any "problematic" batches that remained in-house. Wysong also told us that his company notified the Food and Drug Administration (FDA)about the mold problem. The FDA's new Reportable Food Registry requires U.S. companies to file a report when there is a "reasonable probability" that their food will cause serious health consequences to people or animals. Wysong also posted a recall notice on its Web site, but that warning is buried under the dry dog food section. When asked why his company didn't immediately notify pet owners about the mold problem, Wysong said "The vast majority of the recalled product was sent to our distributors and retailers. We have therefore focused our efforts on alerting distributors and stores and asked them to dispose of the product." "In other words, we are focusing on the supply chain because the customers at the retail/store level are not identifiable," he said. Wysong admitted that posting a notice on the company's Web site is not the most effective way to reach customers who may have the recalled products. "The actual recipients of the product -- distributors and retailers -- have already been alerted, and those that buy our product in stores are likely not Wysong.net site visitors," he said. "The notice on the site therefore serves as an alert to those who did not receive these products." "We keep records of the distributors and stores that were shipped this product," he added. "Our best chance at notifying customers is through these mediums." Pet owners who have any of the recalled food should immediately stop feeding it to their dogs, Wysong said. "She did not deserve to die that way"
That warning, however, came too late for Julie P. of Hawaii. She says her healthy Doberman Pinscher, Scarlet, died on September 26, 2009, after eating some of Wysong's moldy food. "Losing Scarlet was just horrible and totally needless," Julie told us. "She died a very painful and agonizing death on the morning of her fifth birthday after suffering all night long. She had gone completely toxic." But Julie's nightmare didn't end with Scarlet's death. Her other eight Dobermans also became seriously ill after eating Wysong's moldy food. "They're lethargic and continued to get more and more down as time went by," says Julie, who switched her dogs to Wysong in August. "They have very red eyes with yellow gunk that they have had the whole time I was feeding Wysong. That has now finally gone away because I took them off the food after Scarlet died," she said. "They also had severe diarrhea the whole time, too. At first I thought it was from the changing of their food, but it got worse with some bloody stools and did not go away until again I stopped feeding them Wysong." One of Julie's dogs, a male named Doug, also developed a sore on his leg that would not heal and had "dry flaky skin with red bumps on his neck." "Several of my other dogs, including my Daddy, Ruby, and Maybelle all have a bad rash on their groin areas that I also could not get to go away for the last two months," Julie says. "They have had gaseous upset stomachs many times in the last two months. They have been throwing up, and at times, Doug refused to even get near his feeding dish." Julie says she didn't make a connection between Wysong's food and her dogs' death and illnesses until she opened a new bag on October 4, 2009. "When I opened that bag, I noticed a moldy look to the kibble -- a look I had seen on several previous bags in the two months I feed it to my dogs. I did not notice any smell, but I think my dog Doug did." Julie contacted the company that same day. "I was afraid to feed them what looked to me like moldy food," she says. "And I started putting all these symptoms together as being from the food." "I'm not sure how I can prove that all of these symptoms were from eating the bad dog food," she adds. "But now that I've stopped feeding the food to them, they are all getting better, which seems to prove that it was." Julie says Wysong should give her some compensation -- at least enough to cover her vet bills -- but no amount of money can ever replace Scarlet. "She did not deserve to die that way," Julie says. "She was still a young and vibrant dog and very, very special to us. She could have gone on to live another ten years...it's hard to put a price tag on that. What would you pay to have your loved one with you for all those days?" Lucas Wysong told us his company is "immensely sorry" for any worry or inconvenience this issue has caused its customers. In Julie's case, Wysong said his company is in "direct communication" with her regarding the death of Scarlet and the illnesses of her other dogs. "We have requested specific tests be conducted in an attempt to definitively determined the cause of death/sickness," he said, adding the company has not received any other reports of serious adverse reactions linked to the recalled food. The company, he added, has also taken steps to ensure a mold problem like this doesn't surface again. "We are in the midst of scrutinizing each and every step of our quality assurance processes," he said. "All products going back for months are being tested for moisture and mold, thus eliminating the possibility of further problematic product (if any exists) being released. "We vow to all interested parties to do everything we can to ensure that this never happens again." Julie, however, isn't taking any more chances with Wysong's food. "Like a lot of people I am going to be making my own food for my dogs. But with this many to feed, that's a challenge. It can be hard to get all the vitamins in there, so I would like to supplement with a small amount of kibble." Meanwhile, pet owners who have any of Wysong's recalled food -- or questions about the recall -- can e-mail the company at Wysong@Wysong.net. Wysong is the third pet food maker in recent weeks to quietly pull some of its products off the market. Earlier this month, Diamond Pet Foods removed some of its Premium Edge Finicky Adult and Hairball cat food off the market because of deficiencies in the thiamine levels. Diamond's action came just days after Nutro Products quietly pulled from the market three types of its puppy food because of a production error. The company said it voluntarily withdrew the puppy food after it had discovered pieces of melted plastic in the "production line of select varieties of NUTRO dry dog and cat food products." October 15, 2009 date body A third pet food company in as many weeks has pulled some of its products off the market. Add another 15 varieties to the growing list of recalled pet foods. Royal Canin USA has recalled eight Sensible Choice dog food products and seven Kasco dry dog and cat food products. The company said it took that action late Friday after tests revealed traces of a melamine derivative in the Chinese rice protein concentrate the company received from its supplier, Cereal Byproducts of Illinois. Cereal Byproducts on May 4 recalled the rice protein concentrate it received from Chinese supplier Binzhou Futian Biology Technology Co. Ltd. after the FDA discovered melamine and melamine derivatives in the product. The company said it shipped the tainted rice protein to three unnamed customers in the Midwest between July 19, 2006 and March 14, 2007. Two of those companies recalled their contaminated products around April 19, 2007. In a written statement on Royal Canins Web site, Olivier Amice, president and CEO, stated: We deeply regret the concern and anxiety this announcement today will cause our loyal customers and the entire pet community. While a very limited number of Sensible Choice and Kasco products in this recall tested positive for trace levels of a melamine derivative, Royal Canin USA is voluntarily withdrawing these products out of an abundance of caution and because we are fully committed to the welfare of our customers pets. The company, which announced last month that it would no longer use any Chinese vegetable protein suppliers, said it had not received any confirmed cases of illnesses linked to the recalled products. The products involved in this recall have date codes between July 28, 2006 to April 30, 2007 and were sold in pet stores nationwide. Since March, 18 companies have recalled more than 5, 600 pet food products. Thousands of dogs and cats that have eaten the melamine-tainted pet food have suffered kidney disease or died. The FDA said it has received reports of 4,100 deaths of cats and dogs linked to the tainted food, which is contaminated with the melamine and melamine-related compounds. Melamine is a chemical used to make plastics and fertilizers. It is not approved for use in human or pet food. The Pet Connection Web site has received unconfirmed reports of 4,867 pets -- 2,519 cats and 2,348 dogs -- that have died from the contaminated food. It also states the total number of reports it's received about pets affected by the tainted food is 14,646. Add Alpo to the list of pet food brands recalling wet pet food after a wave of dog and cat deaths throughout North America. Nestle Purina PetCare Co. announced late Friday that it was recalling all sizes and varieties of Alpo Prime Cuts in Gravy dog food marked with specific date codes. The company said some of the cans might be contaminated with melamine, the toxin suspected of causing the pet illnesses. "We're very confident that we've isolated this problem," said Keith Schopp, a spokesman for Nestle Purina. "This is just one canned variety of Alpo, and it's one of many varieties of Alpo canned products. No dry products are involved. No cat products are involved." But soothing corporate statements come as little comfort to affected pet owners, like Nicole of Key West, Fla.
"I have two small chihuahuas that ate Alpo Prime Cuts dog food. One of my dogs is currently in the hospital because her kidneys are failing. Sophie is only 6 months old and is very ill," she told ConsumerAffairs.com. "My other dog Charlie is beginning to show signs as well. This has caused me a great deal of stress, time off work, money and possibly the lives of my animals." The massive recall began two weeks ago, when Canada-based Menu Foods recalled 60 millions cans and pouches of "cuts and gravy" moist dog and cat food produced at its plant in Emporia, Kan., between Dec. 3 and March 6. It has since affected such national brands as Procter & Gamble's Iams and Eukanuba, Nestle SA's Purina Mighty Dog and others, including some sold at Wal-Mart and Safeway. Joanne of Bentleyville, Penn., was an Iams customer. When her cat refused to eat the Iams Select Bites pouches Joanne brough home, she let her border collie eat them. The dog died a slow death from kidney failure. "She loved cat food ... so I gave it to (her) as a treat she never gets. The following day I tried the food again with the cat but again he would not eat it so again I gave it to the dog. I had no idea that I thought the food was a treat for my dog was actually poison." "My life will never be the same. I feel I poisoned one of my family," Joanne said in a complaint to ConsumerAffairs.com. "I trusted a company. I will never do that again." Menu Food's President and CEO says his company still doesn't know how wheat gluten contaminated with a chemical commonly used in plastic wound up in its products. President Paul K. Henderson also said the contaminated wheat gluten is not in any of its other product that are outside the scope of the company's massive recall of 60 millions containers of "cuts and gravy" style pet food. Meanwhile, Hill's Pet Nutrition recalled its Prescription Diet m/d Feline dry cat food. The food included wheat gluten from the same supplier that Menu Foods used. The recall doesn't involve any other Prescription Diet or Science Diet products, the company said. The Food and Drug Administration -- and an outside laboratory -- announced on Friday that tests found a chemical called melamine in samples of the tainted pet foods involved in the recall. "Melamine has been found in the finished product that was the subject of recall and has not been found in other Menu Foods pet food outside of the recall," Henderson said at a press conference Friday afternoon. Cornell University officials also confirmed they found melamine -- used in floor tiles, kitchenware, and fire retardant fabrics -- in the urine and kidney of a sick cat. New York officials say they've detected that chemical, too. Henderson said the melamine-tainted wheat gluten came from a new supplier, who imported the ingredient from China. He said the company stopped using that supplier after dogs and cats across the country showed symptoms of kidney disease or died after eating Menu's pet foods. "Needless to say, we have a great deal of interest in finding out why we were supplied with this kind of product," Henderson said of the tainted wheat gluten. "This is a subject of very great interest to us and our lawyers and you can expect that we will be following up." He added: "For litigation purposes, we cannot elaborate at this time." Grieving pet owners in the United States and Canada have filed lawsuits against Menu Foods, alleging the company was negligent and should have warned consumers about its tainted products before the March 16, 2007, recall. Henderson said pet owners shouldn't worry about the safety of the cat and dog food the company is now producing. "Let me be clear on this -- we have removed that (tainted wheat gluten) problem from our system," he said. "Our products are safe. We continue to engage in the highest levels of monitoring and testing in the pet food industry. These tests will be expanded as a result of this experience." He also pointed out: "Melamine has not been found in the wheat gluten that we obtain from our other suppliers ... all of the testing that has been conducted, including the routine taste tests that were underway prior to the discovery of this problem, have demonstrated that those products not associated with the suspect wheat gluten performed very well and in a manner consistent with historic norms." The tainted wheat gluten, however, might have been used to make dry dog food. Stephen F. Sundlof, director of the FDA's Center for Veterinary Medicine, said the melamine-tainted ingredient was shipped to an unnamed company -- one that manufactures dry pet food. The federal agency is now investigating whether that contaminated ingredient was used to make any dry pet foods. When asked if pet owners could be feeding unsafe food to their animals, Sundlof said: "It is possible, but I think we've been following every lead that we can. My sense is that we have gotten most of it under control." Last week, New York officials announced they discovered the toxin aminopterin -- used as rat poison in other countries and as a cancer drug in the United States -- in Menu's contaminated products. But the FDA said its tests -- and those by the outside lab -- did not reveal the rat poison in the recalled pet food. Or in the wheat gluten. Wheat gluten is used a thickening agent and source of protein in pet foods, but it's also used in some human foods. The FDA said today that it has found no indication the contaminated ingredient is in any food humans eat. The agency said it would alert the public if it found melamine in any other foods. The FDA has confirmed at least 16 deaths linked to Menu's contaminated pet foods, but officials expect that number to dramatically increase. The FDA said it has received calls from more than 8,000 veterinarians and pet owners. Earlier this week, the Veterinarians Information Network, a Web site of 30,000 veterinarians and veterinary students, announced its members have reported 104 deaths linked to Menu Foods' contaminated products. The majority of those deaths -- 88 -- involved cats. The Web site also received 11 reports of dogs dying after eating Menu Foods' tainted food. The remaining five deaths did not list a species. In addition, VIN said its members have seen 471 cases of kidney failure since Menu Foods announced its massive recall on March 16, 2007. The Web site PetConnection.com says it has -- as of March 30, 2007 -- received 2,400 unconfirmed reports of dog and cat deaths linked to Menu Foods. Henderson offered his company's condolences to grieving pet owners. "All of us at Menu Foods want to express our sympathy to those people who have suffered with sickness and loss of pets," he said. "We are pet-people and we have almost 1,000 caring employees who are dedicated to making food that is safe, nutritious and palatable." He added: "We are angered that a source outside of the company has apparently adulterated the product causing this regrettable loss." As the investigation continues, pet owners are advised to watch their dogs and cats for symptoms of kidney failure, including loss of appetite, lethargy, vomiting, excessive drinking and either excessive or no urination. Veterinarians, however, warn that animals do not show symptoms until about 70 percent of the kidney function is lost. A complete list of the recalled Menu pet foods is available at Menu Food's Web site: www.menufoods.com/recall or contact the company at (866) 463-6738 or (866) 895-2708. A division of the U.S. Food and Drug Administration (FDA) has denied that it is investigating NUTRO Products Inc., whose pet foods are the subject of more than 700 complaints from consumers who say their dogs and cats became ill and, in some cases, died after eating NUTRO products. But consumers who fed their dogs NUTRO have confirmed that FDA inspectors came to their homes investigating their pets' deaths. And the FDA is still refusing to release information about NUTRO, saying that to do so could hamper law enforcement efforts. "They can't have it both ways," said James R. Hood, president of ConsumerAffairs.com, which has a long-pending Freedom of Information Act (FOIA) request for information the agency has gathered about NUTRO. "If there's no investigation, they must release the files, which are public property. That's the law." Tuesday's denial came from the FDA's Center for Veterinary Medicine (CVM), which is not the FDA division that handles complaints about pet food. But an FDA official, who is not with the CVM, told ConsumerAffairs.com last week that the agency is investigating the pet food maker. The person, who spoke on the condition of anonymity because he or she was not authorized to talk to the media, said the investigation could be civil or criminal in nature. Despite the backtracking of the FDA and the denials of NUTRO's publicists, ConsumerAffairs.com has confirmed that FDA agents in Indiana have investigated the deaths of three dogs in that state. All three of those dogs ate NUTRO. Earlier this week, a consumer in Evansville, Ind., said that the FDA came to his home last August after the death of his healthy 11-year-old dog, Ali, a Norwegian Elkhound, who died on July 13, 2008. "An FDA agent came out to my house and took down all the information," said the pet owner, Mark D. "The agent said they'd (his FDA office) gotten a number of complaints about NUTRO. He said he was aware of the problems nationally and the problems included on your (ConsumerAffairs.com) Web site." Mark said he talked to the agent several times after the agent visited his home. Mark said he and his family went on vacation last July and took Ali and their other dog — a Collie — to the kennel. "We took her to this same kennel for many years and Ali always ate well." The kennel's owner, however, noticed that Ali suddenly had bloody diarrhea, was vomiting and not eating. The kennel took Ollie to its vet. "The vet said he thought she'd eaten something at the kennel," Mark said. "But we asked that if that's true, how come the only dog this happened to was the one that ate NUTRO. We have two dogs; our Collie was on a different food — not a NUTRO brand. She was in the same run and she's fine. "And we said what did Ali eat that the other dog didn't. The only answer was the food." Ali then took a turn for the worse. She died on July 13, 2008. "It was awful," Mark said. "This was a healthy, 11-year-old dog that was taken to the vet once a year. We have all her records." After Ali's death, Mark had a necropsy done on his beloved dog. That autopsy revealed that Ali died of septicemia (bacteria in the blood) and disseminated intravascular coagulation (DIC). "The vet said the infection started in the GI tract, and he did not see any signs of melamine poising," Mark said. "Additionally, there was a growth on her spleen the size of a softball. When I asked him (the vet) how long the growth could have been there, he said a week or two at the most." The vet could not say if the food caused her death, but "he could not rule it out," Mark said. Mark said his vet urged him to contact the FDA, which he did. His vet also sent Ali's NUTRO food to Purdue University for testing. Those tests, Mark said, were negative for melamine, salmonella and e-coli. Nonetheless, Mark is convinced the NUTRO food played a role in Ali's death. "I don't see how it could be anything else," he said. "It's terrible to lose a dog, especially in that manner...to go like that is not deserved at all." Mark says he just wants answers about what happened to his dog. "That would be great. I would love to have NUTRO admit this was its fault — or it it wasn't their fault — to find a reason for what happened so it won't happen again." ConsumerAffairs.com has also confirmed that the FDA investigated the April 2008 deaths of two Italian Greyhound dogs in Indiana. The dogs' owner told us an FDA agent came to her home, took a report, and tested samples of the NUTRO food those dogs ate. Those tests, however, did not find any toxins in the food. Autopsies indicated the dogs died from antifreeze poisoning. The dogs owner doesnt believe those findings, saying there is no antifreeze around her home. Hundreds of pet owners nationwide have told ConsumerAffairs.com their dogs and cats have experienced sudden and recurring bouts of vomiting, diarrhea and other gastrointestinal problems after eating various flavors of NUTRO. In nearly every case, the animals recovered after their owners switched them to another brand of pet food. Others, however, died. To date, ConsumerAffairs.com has talked to the owners of seven dogs who suspect their pets deaths are linked to NUTRO food but cannot prove it and are hoping for government help. NUTRO has repeatedly defended its products, and also denies that it is being investigated. Mars recalled 20-pound bags of Pedigree dog food last year, saying it might be contaminated with salmonella. Another pet food company, Menu Foods, said in a recent financial filing that the FDA had commenced a criminal investigation to determine whether Menu violated the Food, Drug, & Cosmetic Act. The company noted that additional actions or investigations may arise in the future. It did not mention any other pet food companies. Menu last year settled a $24 million lawsuit that grew from the largest pet food recall in U.S. history. NUTRO is a division of privately-held Mars, Inc., which is not required to file the extensive financial disclosure statements required of publicly-traded companies. After NUTRO was acquired by Mars in 2007, Mars was fined a record 4.5 million (about US$5.8 million) by the German Federal Cartel Office (FCO) for not observing the required waiting period before closing the transaction. Mars had been by far the leading provider of cat and dog food in Germany prior to the merger. NUTRO also had extensive marketing operations in Europe, but under pressure from the German regulators, Mars divested NUTRO's Austrian and German businesses. News of the FDA investigation came to light last week after the FDA denied a Freedom of Information Act request filed by ConsumerAffairs.com seeking a list of all NUTRO complaints and lab results the agency had collected since 2007, which is when NUTRO became a subsidiary of the privately-held Mars Corp. Mars manufactures candies including M&M's, Snickers, KitKats, Mars Bars and Skittles. Half of its business comes from pet care products, including Pedigree, Whiskas, Royal Canin and Cesar pet foods. In its denial letter, the FDA said the records ConsumerAffairs.com requested were compiled for law enforcement purposes and releasing those documents could interfere with law enforcement proceedings. In an earlier letter ConsumerAffairs.com received from the FDA — one dated September 5, 2008 — the Center for Veterinary Medicine denied our FOIA request, saying: The FDA's Center for Veterinary Medicine has no responsive records to your request. Complaints regarding adverse reactions to pet foods are filed with the district office consumer complaint coordinator located in the state where the complainant resides." NUTRO has been citing the Center for Veterinary Medicines denial as proof the FDA is not investigating the company, and the CVM yesterday released a statement saying that "a media report incorrectly concluded and reported that Nutro Products Inc. was the subject of an investigation." But the official ConsumerAffairs.com spoke with last week was not assigned to the Center for Veterinary Medicine. That person is with another division of the FDA. The media response to the dust-up illustrates the sorry effects of the cutback in newspaper reporting staffs and television's increasing use of empty-suit commentators filling positions once held by actual journalists. The story has simply been ignored by most major newspapers and broadcasters. The few who have touched it have been content with scraps tossed their way by NUTRO and the government. CNN took its cue from the company's publicists on its 7:41 a.m. newscast a few days ago, as newsreader Robin Meade aired a "clarification of a report that involved a report from ConsumerAffairs.com." "It (the report) said that the FDA is investigating NUTRO pet foods. It said the independent Web site — which is not affiliated with the federal Consumer Protection Agency (sic) or Consumer Reports — it said it got hundreds of complaints from dog and cat owners who said their pets got sick or died ... but the FDA tells CNN that ConsumerAffairs is wrong and it's not investigating NUTRO." CNN did not contact ConsumerAffairs.com or any of the 700 consumers who have taken the time to tell their stories but relied totally on the assurances of government and corporate publicists whose interests lie in advancing their employers' interests, not ferreting out the truth. "NUTRO says in a statement to CNN that it wants to assure its consumers, associates and retailers that its products undergo rigorous product assurance testing and are safe and conform to the specific standards set by the U.S. Food and Drug Administration — that's a quote," Meade exclaimed. "Now as far as the complaints from the pet owners," she continued, "NUTRO says an analysis of the products complained about determined them to be safe and that there was nothing in the pet health issues caused by NUTRO pet food." Professional groups have also shown little concern, labeling the reports of pet illness "anecdotal." Dr. Kimberly May of the American Veterinary Medical Association (AVMA) discounted the source of the reports. Based on previous experiences with ConsumerAffairs.com, they dont let the truth get in the way of a good story," she said on a trade group forum. "They were one of the sites propagating the microchips cause cancer in pets rumors a few years ago, without any science whatsoever to back up their statements. May's statement is completely false — no such story ever appeared on ConsumerAffairs.com, Hood, the Web site's president and editor, said. May has since retracted the statement but has not apologized. "The complete disregard for fact-checking that prevails in today's world is just mind-boggling," Hood said. "People who are supposed to be respected professionals say the first thing that comes into their head while completely ignoring the entreaties of the consumers whose interests they are supposed to protect." "Any incident can be called anecdotal. A story of a fatal assault during an armed robbery is anecdotal, but that doesn't mean it didn't happen and that measures should not be taken to capture the offenders and try to prevent future occurrences," he said. "The press and responsible professionals are supposed to investigate — not wait for corporate and government mouthpieces to hand them their talking points." ConsumerAffairs.com filed its Freedom of Information request for NUTRO records last year after an analysis of consumer complaints revealed that scores of pets from California to South Carolina had experienced sudden and recurring bouts of diarrhea, vomiting, and other digestive problems. A common denominator among those dogs and cats was NUTRO pet food. In many cases, consumers said their pets conditions improved once their owners stopped feeding them NUTRO pet food. Some animals died, however. ConsumerAffairs.com continues to receive complaints about NUTRO from dog and cat owners nationwide. In the past year, consumers have filed more than 600 complaints saying their dogs or cats suddenly became ill after eat NUTRO. The problems these pets have experienced are similar: vomiting, diarrhea, and other digestive issues. Most of the complaints mirror one from Linda P. of New Baltimore, Michigan. For three years, I have been feeding my dog NUTRO Natural Choice Lamb Meal & Rice Formula Small Bites Dry Dog Food, she said. The last bag I bought, I notice the food color was lighter than in the past. Me being who I am, I believed there was a change in formula for the better. My Dachshund/Lab became ill, vomiting food chunks and yellow bile as well. We took him to the vet and I have been feeding him homemade chicken and rice and antibiotics and he is on the mend. She adds: How can so many dogs get sick and nothing be done? Today I will start mixing his homemade food with a different brand of dry food. I never want anyone else to go through, what appears to be many, the same situation as our dogs. It will be a week or two before Im sure my dog is okay. NUTRO defends its products and insists its food is safe. Many NUTRO customers also tout the food, saying their pets have had no problems. And veterinarians say several factors can cause gastrointestinal problems in dogs and cats, including changes in diet, newly developed sensitivities to pet foods, and viral infections. But pet owners who complain to ConsumerAffairs.com on a nearly daily basis are convinced something is wrong with NUTROs food. And they say its no coincidence that so many dogs and cats have become sick — with the same symptoms — after eating various flavors of that pet food. NUTRO makes dogs sick, says Erin of Encino, California. It is a fact and Im outraged that nobody is taking it off the shelf. Erin says her three-year-old Puggle was a healthy active dog until she started eating NUTRO Natural Choice Lamb Meal & Rice Formula and NUTRO Max Beef & Rice Dinner Chunks in Gravy: After about two weeks of this food, she became sick. (She was) constipated for a few days, then had diarrhea, and finally vomiting and was always extremely thirsty. The last straw was her laying lethargic on the couch with white gums. Thats when Erin rushed her dog to the vet. The vet said she had allergies, prescribed an antibiotic and cortisone and gave me a bag of Science Diet. I feed her the Science Diet in place of NUTRO because it was free, and she was fine within a week. Erin, however, says she made the mistake of switching her dog back to NUTRO after the Science Diet was gone. She again had constipation, followed by horrible diarrhea, and finally vomiting yellow bile and white gums, Erin told us. There is no way that all these stories are just coincidences (not) if my dog is fine when she isnt eating NUTRO and when she is eating it, shes horribly sick. I have switched her back to Science Diet and all her symptoms are gone and her appetite has returned to normal. Another California pet owner says her dog also became ill after eating NUTRO pet food. My husband and I purchased NUTRO chicken and rice small bites for our two Chihuahuas, says Jessica of Larkspur. After about five days, our six-year-old male Chihuahua became lethargic, groaned a lot, developed a fever, was not excited to go on walks, and lost excitement for anything that used to bring him joy. My husband began to suspect it was the new food as he had only developed these symptoms after eating NUTRO. He has always been a healthy and active Chihuahua. The couple took the dog to their vet, who ran tests but couldnt pinpoint the problem. He was given antibiotics and we are crossing our fingers they work. Our Chihuahua can barely walk, he is groaning in pain, and is extremely depressed. Across the country, a longtime NUTRO pet owner in Pennsylvania told us her dog suddenly became ill after eating the food. I had been feeding my dog NUTRO for years, says Amy D. of Webster, Pennsylvania. I started feeding her NUTRO for sensitive stomachs about 6 months ago. At first everything seemed fine. Then my dog, who never urinated in my house, started having accidents (frequently). She needed to go out constantly and would squat repeatedly, come in, and ask to go right back out. I took her to the vet and began treatment for bladder infection. Upon finishing treatment it started all over again. Amys vet discovered crystals in the dogs urine, which also had a high PH balance. The vet put the dog on another medication. In the meantime other than the restless pacing to go outside, she seemed disinterested and lethargic, Amy says. Then she began having extremely loose bowel movements (an awful bright yellow) in the house. Amy launched her own investigation and discovered the scores of complaints about NUTRO on ConsumerAffairs.com. I couldn't believe my eyes. Could it really be the dog food I had trusted so much making my beloved pet ill? I immediately threw away all my NUTRO dog food. Amy is now feeding her dog another brand of pet food. And Im thrilled to say she is her old self again. She no longer has to take any medicines and has no more accidents or uncontrollable urges. Thanks to this Web site and everyone who took the time to file a complaint, I have my healthy happy dog back. A pet owner in New York said his puppy had the same experience as Amys dog after eating NUTRO. And hes convinced its not a fluke. We got our dog two weeks ago and our puppy was healthy when we got her, says Manny of Fresh Meadows, New York. She started eating NUTRO Natural Choice for puppies, since it was recommended by a friend of ours. A week later, she started squatting to urinate, but only small drops or none at all came out. When she can urinate, it is frequent, in small amounts, and contains blood. Manny took his puppy to the vet, who prescribed amoxicillin. She received a sonogram, culture test, and urinalysis test. The results showed that she may have a stone in her bladder. The blood in her urine is caused by the stone scraping the bladder walls. The urinalysis test showed that she had a high PH balance. I don't think it is a coincidence that I have the same exact problem as Amy, adds Manny. I wonder if something is wrong NUTRO pet food again. Our puppy is still sick. • Two Italian Greyhounds at a military base in Italy became sick after eating NUTRO food. The dogs owner told us she hopes the FDA is investigating NUTRO and urged the agency to move quickly. It is hard to tell how many people at overseas military bases are feeding this (food) to their dogs and possibly killing them, says Michelle M. who bought her dogs NUTRO food at the bases commissary. • A pet nutrition specialist for NUTRO told us shes heard complaints about the companys food making dogs and cats sick. She reported those concerns to her supervisor, but said they were ignored. She later resigned. Some pet owners, however, say NUTRO is the only brand of food their dogs and cats can eat. My Shar-peis are the most sensitive dogs I have ever owned, says Allison R. of Nampa, Indiana. On the wrong food their hair falls out, their eyes weep and their ears get nasty. It takes me a good 3 months of only NUTRO dog food in order to reverse the affects of the other food. I have found that the senior diet is what works best, not sure why, but it seems to keep my Shar-Peis looking healthy. A Tennessee pet owner also defends NUTRO pet food — and warns consumers not to jump to conclusions based on Internet complaints. I feed all of my dogs and cats Nutro products and they are just as healthy as they have ever been, says Brenda of Springfield, Tennessee. They have healthy shiny coats and their stools are firm. Brenda also had some advice to pet owners switching brands of food. Do a gradual transition from the old food, she said. If you dont, your dog will likely experience these issues. Not every bout of diarrhea, constipation, bladder infection, liver and kidney failure and loss of excitement to go on walks should be attributed to food. Your first responsibility as a pet owner should be to take your dog to the vet before you blame anyone. Do your research and don't let any Web site diagnose your pet. NUTRO has repeatedly insisted its food is 100 percent safe and meets all standards set by FDA, the U.S Department of Agriculture (USDA) and the Association of American Feed Control Officials (AAFCO). A spokeswoman said all NUTRO products are tested for melamine, molds, toxins and other bacteria. And she called the complaints weve received isolated reports of inaccurate information posted online. The company, however, set up a special a section on its Web site in response to the issues and concerns raised in the ConsumerAffairs.com stories. NUTRO said it takes all customer complaints seriously and encouraged pet owners with concerns about the food to contact the company at 1-800-833-5330. Veterinarians have said its not uncommon for pets to have sudden bouts of vomiting, diarrhea, and other gastrointestinal problems. They also said a number of factors — pet food, stress, or a viral infection — could be the culprit. Dr. Steven Hansen, a veterinary toxicologist with the American Society for the Prevention of Cruelty to Animals (ASPCA), reviewed some of the NUTRO complaints, in an effort to find out why so many pets have become sick — or even died — after eating NUTRO food. Unfortunately the cases are not consistent and appear to be anecdotal with no real definitive diagnostic findings, Dr. Hansen said. Without any consistent trends in findings we can not do anything any further. This does appear to us to be a situation where bad things happen, but they are not likely food-related. Hansen, however, said consumers who suspect NUTROs food is a factor in their pets illnesses should have their animals examined by a veterinarian and document the problems. I would also recommend that if they suspect the food is the problem, they should take a freezer bag full of it — along with the label information that has the products name and lot numbers — to their vet, he told us. If the vet suspects the food is the cause, the vet should then contact the company and FDA. If theres a problem, we need to document it and get supporting lab results. The arguments back and forth don't mean much to anxious pet owners, who say its about time some federal agency investigated NUTRO and its products. After so many complaints, how can this dog food still be on the market for consumers to purchase and feed to their dogs? Andrea G. of Sicklerville, New Jersey asked us. I have been feeding my Dachshund NUTRO Ultra dry dog food for many months. Suddenly, 10 days ago, he started vomiting yellow bile 1- 2 times daily. It makes me sick to think that I might be the one responsible for my dog's vomiting by feeding him this food. I can only hope that something is done, very soon, to prevent other pets from becoming ill.
Read verbatim complaints and comments from consumers. Two separate law firms are gathering information for potential class action lawsuits against Canidae and Nutro, the pet food manufacturers whose products are alleged to have caused widespread pet illness. Progressive Law Group, LLC, is currently gathering information from pet owners who say their dogs became sick as a result of eating Canidae products, or who have information that would be useful to the suit. According to its website, the firm focuses mainly on environmental, energy, and consumer affairs issues. More information about the Canidae suit can be found online. Meanwhile, the Alabama firm of McCallum, Hoaglund, Cook, and Irby is gathering information for a potential class action lawsuit against the company that manufactures Nutro. In spite of widespread complaints of pet illness, Canidae has yet to issue a voluntary recall of its foods. Last year, the company issued a statement explaining that it had changed the foods formulation and that pets needed to be transitioned gradually from the old to the new formula. Specifically, the company cited the new foods increased levels of meat protein and the increased overall complex carbohydrate quality. However, angry consumers said Canidae was at best inconsistent in warning pet owners beforehand of the need for the gradual formula transition. Many claimed that neither the food nor the shelves on which it was stocked provided any warning that the formula had changed. Some consumers have speculated that the new formula, which contains carbohydrates such as corn and barley, came as a shock to their dogs systems, which had become accustomed to the old formulas more rice-centered composition. In September 2007, a lab report allegedly showed that a Canidae sample contained the painkiller acetaminophen, a charge which Canidae vehemently denied. Menu Foods, another large pet food manufacturer, was forced to issue a series of recalls in 2007, after scores of dogs became sick, some experiencing kidney failure. At least 10 deaths were reported. The Pet Food Products Safety Alliance (PFPSA) tested a batch of Nutro pet food in August 2008, and found alarming levels of copper and zinc. Indeed, PFPSA noted that the copper levels were two to three times higher than recommended by the Association of American Feed Control Officials (AAFCO). A multi-district class action lawsuit against Menu Foods recently settled for $24 million. The suit was brought on behalf of certain U.S. and Canadian residents who purchased recalled pet food after March 16, 2007. Under the settlement, all class members are eligible to collect up to 100% of economic damages they suffered, as long as they can provide documentation. An explanation of the settlement and relevant court documents can be found at www.petfoodsettlement.com. A Missouri pet products company is under investigation by the Food and Drug Administration (FDA) amid reports that scores of dogs have became seriously ill or died after eating the manufacturers treats. The company at the heart of the probe is Dynamic Pet Products of Washington, Mo., an FDA spokesman told ConsumerAffairs.com today. FDA is aware of the issue and is looking into it, according to a statement the spokesman sent us. We take very seriously any potential harm to pets from products regulated under the Federal Food Drug and Cosmetic Act and encourage consumers to report their concerns to the FDA. If warranted we will take appropriate action and notify the public. ConsumerAffairs.com has received several complaints about one of the company's treats -- Real Ham Bones. Pet owners say the 8 hickory smoked pork femur bones -- sold as treats -- have splintered and caused their dogs to become violently ill or even die. My dog ate the bone and died, said pet owner Christina N. of Collierville, Tennessee. The company denied my claim for vet bills. They said I chose to give my dog the bone. This was a very, very painful death for Buddy. Many dogs have died from this product. I had a necropsy done and still they claim it wasn't their product. A Texas pet owner also blamed the death of her dog on the companys chew bones: I purchased the pet treat for my dog and it killed him, said Kriss L. of Richardson, Texas. Words cannot express my grief. An Indiana pet owner told us her dog had to undergo surgery after chewing one of Dynamics Real Ham Bones. The dogs health problems, she said, surfaced ten minutes after it started chomping on the treat. I noticed it had broken apart, so I took it away from her (and) a short time later she was gravely ill, trying to vomit but couldnt, said Patti S. She couldnt even drink water. Patti rushed her dog to the vet. They took X-rays and said she had splinters of the bone in her intestines and she had to go through surgery. Thank God I have a great vet because she is the reason my dog is still alive. Patti called Dynamic Pet Products about her dogs experience. The company referred her case to its insurance carrier, which denied Pattis claim. They would not pay a dime, she said. They (said) they were not at fault. They said I was for not monitoring my dog closely enough. A New Jersey pet owner also told us her dogs became sick after eating one of Dynamics chew bones: On March 2, I bought two Real Ham Bones for my two Bulldogs, said Nadine of Woodstown, New Jersey. That night, one Bulldog threw up 5 times. Nadines vet ordered X-rays on the dog, but they did not reveal any blockage. The vet, however, blamed the chew bone for the dogs gastric problems, she said. This is day three (and) she has not moved her bowels yet and (we) will have to have another trip to the vet. What about Nadines other Bulldog? She is moving her bowels, but they are full of bone, she said. Another pet owner told us her dog experienced similar problems after gnawing on one Dynamics chew bones. I bought a Real Ham Bone made by Dynamic and a few hours later my dog was throwing up and yelping when he had a bowel movement, said Maureen G. of Gladstone, Missouri. I decided to Google the product and found out this has happened to a lot of pets. This product needs to be taken off the shelf, she added. How many dogs have to die first? Luckily, my dog will be okay. I bought it for him thinking that it would be safe and unfortunately the product isn't. ConsumerAffairs.com contacted Dynamic Pet Products today about the FDAs investigation and the complaints weve received about its chew bones. The company did not return our call. Dynamics Web site states the Real Ham Bones are not recommended for aggressive chewers. As with all natural bones, we recommend supervision during eating, the Web site points out. The companys Web site also states that its proud of its track record and reputation. Dynamic has not pulled any of its chew bones or treats off the market and pet owners are likely to still find them on store shelves. The FDA said pet owners can report any health problems their dogs experience with Dynamic Pet Products chew bones or treats to the agencys Consumer Complaint Coordinator in their region. An Illinois pet owner made what she calls a disgusting discovery when she recently opened a can of Pedigree dog food. Inside the can of chicken with gravy food Dianne T. says she found a dead frog. It was the most disgusting thing, she told ConsumerAffairs.com. I almost hurled and I have a strong stomach. Dianne says she often splits a can of wet food between her four dogs two Blue Merle Collies, an Old English Sheepdog, and her ailing moms Shih Tzu. When I opened up this can on Thursday night I saw a brown clump in the food, the Frankfort, Illinois, pet owner says. I was like what is that? I flipped it over and it was a dead frog. I walked over to the kitchen sink because I thought I was going to throw up, she adds. It was gross. I had to call my son and he said, Oh my God its a frog, its a frog. Dianne called the company that makes the food, Mars Petcare US, to report the dead frog food. And what got me mad is they offered me coupons for more dog food. I told them I dont want your coupons. Why would I want to give my dogs more of this food? I will never buy or feed Pedigree canned food again, Dianne adds. I wont even donate what I have left to a shelter. The frog-tainted can was part of a case of Pedigree Choice Cuts in gravy food that Dianne purchased in early August from Sams Club. It has a best by date of 4/25/12 and the manufacturers number is 017c1kkcf. Half the cans were chicken and half were beef, Dianne says. And my dogs have been eating other cans from this same case. Dianne is now worried that her dogs -- or someone elses -- could become sick from any Pedigree food made at the same time as the can with the dead amphibian. My big concern is whats going into this food, she says. Whats going into this food that people are feeding their pets? Obviously, its not chicken. Theres a frog in that food a whole dead frog. And if theres a frog in there, what else is in the food? Dianne says she doesnt know what type of frog is in the food or if its poisonous. Are there toxins in that frog? she asks. Everything I read about poisonous frogs said they keep their toxins in them after they after die. Does that mean the toxins were spread through Lord knows how many cans when the food was processed? What else could the frog have contaminated? Dianne immediately contacted her veterinarian after she discovered the dead frog in her dogs food. I asked him what could happen if the dogs ate from a can that contained a dead frog, she says. And he said they could have diarrhea, vomiting, and neurological problems. In the past few days, Dianne says her healthy, active dogs have experienced some mild signs of those problems. My dogs have had some loose bowels, says Dianne, who is now feeding them cooked rice and chicken. And my older collie suddenly turned up lame on Tuesday. She didnt want to get up and was holding up her back paw. My vet couldnt find anything wrong, but said to bring her back on Saturday. It may be a pinched nerve and she is getting better. Mars customer service representative, however, told Dianne the dead frog did not pose any health risks to her dogs. She said they cant get any diseases from this because the food is cooked in the can so its sterile. But what kind of quality control is going on when a dead frog is in the food? That frog had to be in the food when they prepared it. ConsumerAffairs.com contacted Mars about the frog-tainted dog food and the company told us its investigating Diannes unlikely claim. At Mars Petcare US, quality and food safety is our top priority, the company said in a statement ConsumerAffairs.com received Friday evening. While its highly improbable that this could occur, were taking it very seriously and launching a full-scale investigation into this consumers claim. Mars added: We are sending a third-party to the consumers home today to collect the frog and deliver it directly to an independent lab for testing. Its important to note that canned pet food is cooked at high temperatures and processed on high speed equipment, making it very unlikely that a frog could become enclosed in a can. Asked about the companys doubts concerning her claim, Dianne said: We figured theyd say that, but theres a cooked frog in this can of food. Its legs are curled. I think theyre side-stepping this situation. Dianne also has a message to anyone else who doesnt believe she found a dead frog in her dogs can of Pedigree food. 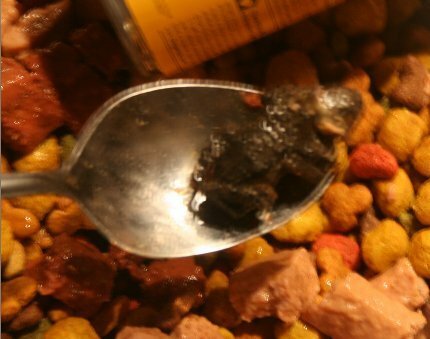 Why would I put a dead frog in my dogs food? asks Dianne, a self-proclaimed dog lover who volunteers for Collie Rescue of Greater Illinois, Inc. I treat my dogs like people. I dont eat that stuff and dont expect my animals or anyone elses animals to do that, either. I also have no desire to sue Mars. Thats the last thing on my mind. Dianne, however, does expect Mars to take two specific actions. What I want Mars to do is clean up their facility, she says. Frogs belong outside. They belong in a pond not in my dogs food. I also expect Mars to take care of my vet bills if my dogs get sick, but only it pertains to the dead frog. To protect other dogs from eating food that might contain dead frogs, Dianne also reported her incident with Pedigrees food to the U.S. Food and Drug Administration. And theyve now opened a complaint about this, she says. I dont want anyone feeding their dogs something that is unhealthy. Pet owners who were informed of the Food & Drug Administration's (FDA) suspension of Evanger's ability to sell pet food across state lines were relieved — and unsurprised — by the news. News of the FDA's crackdown confirmed dog owner Leslie K.'s suspicions about Evanger's food — and federal authorities' interest in the company. "A special agent with the FDA's Office of Criminal Investigations (OCI) called me in May 2009 and wanted details of what happened to my dogs after they ate Evanger's food," the Tabernacle, New Jersey, woman told us. "He came out and said Evanger's failed multiple inspections, and this was not a simple paperwork issue or something to do with an unimportant process. He said it was about ingredients and the manufacturing process and people are not getting what they pay for." The FDA announced late Friday that it had suspended Evanger's temporary Emergency Permit — a decision that, for now, prevents the company from shipping products in interstate commerce. The agency said it took this action as a safety precaution. "Evanger's, operating in Wheeling, Illinois, deviated from the prescribed process, equipment, product shipment, and recordkeeping requirements in the production of the company's thermally processed low acid canned food (LACF) products," the FDA said. "The deviations in their processes and documentation could result in under-processed pet foods, which can allow the survival and growth of Clostridium botulinum (C. botulinum), a bacterium that causes botulism in some animals as well as in humans." Evanger's downplays the FDA's enforcement measures, suggesting the problems are simply a paperwork mix-up. "In August of 2008, while updating required process information to the FDA our 'process authority' (processing expert) inadvertently deleted pertinent filings," Joel Sher, the company's vice-president, says in a statement on the pet food maker's Web site. "Evanger's has been working with the FDA to resolve this issue quickly. This situation does not call into question the safety of any Evanger's products. No Evanger's product are involved in any recall, nor is there any indication that any Evanger's product is unsafe." Leslie's concerns with Evanger's food surfaced in May 2007 when three of her healthy dogs — a Chihuahua, Beagle, and Elkhound mix — suddenly became sick after eating the company's Pheasant and Brown Rice dry pet food. Two other dogs — one belonging to a friend, another to a neighbor — also became ill after eating that same food. All the dogs experienced vomiting, diarrhea, dehydration, and urinary tract problems. "We bought the food during the pet food recall when we were trying to find a safe food," Leslie recalls. "We opened one large bag and two small bags and started to add it to the dogs' regular food. But they all started having trouble. I spoke to someone who said to stop the food. Four of the dogs then got better." But Leslie's Chihuahua, Remy, continued to deteriorate. "He was urinating constantly, vomiting bile, his eyes were sunken from dehydration, and he had horrible lethargy," she said. "He wouldn't get up and do anything. This is a Chihuahua who loved to play. One of my neighbor's came over and said it looked liked Remy had aged ten years." Blood tests run by Leslie's veterinarian revealed problems with Remy's urine and liver counts. Leslie contacted Evanger's about the dogs' illnesses, but said the company didn't seem concerned. "The owner said he'd check into this and get back to me. I waited a few days and Joel (Sher, the company's vice-president) called me back. He said the company hadn't found any problems with the food. I asked him if he wanted to test my food, but he said 'No, we keep a sample of every batch so we can test it.'" "After that call, all I got were answering machines and the secretary." Leslie then worked with The Pet Food Products Safety Alliance (PFPSA) and had her Evanger's food tested. Those tests, she says, revealed the copper levels in the food were 2.5 times the amount recommended by the Association of American Feed Control Officials (AAFCO). When Leslie contacted Evanger's again, "At first, the office manager was nice, but as soon as she knew it was me on the line she became hostile and rude," she said. "She basically said they (Evanger's) were aware of the copper problem and were not concerned. She said they had not tested my food and no intention of doing so because they didn't get that many complaints." "She knew she went too far because she later sent an e-mail that said the total opposite of what she told me in our conversation." But could those elevated copper levels cause the dogs' illnesses? "All my vet can say is the elevated levels (of copper) are consistent with the problems in the dogs: vomiting, diarrhea, lethargy, elevated liver enzymes, and urinary tract problems," Leslie said. "My vet feels it is the food, but says there is no way to prove that." When asked about Evanger's comment that the FDA's latest action "does not call into question the safety" of any of its products, Leslie told us: "Obviously it does affect the safety of the food because how can the food be safe if the canning isn't done correctly. "That comment makes me angry," she adds. "He (Joel Sher) tries to refute the FDA orders and notices in legalese. He words it carefully to make it sound like the FDA is wrong. He's trying to make it sound like this is just a paperwork problem. I hope people don't believe it." Deborah V., of Monrovia, Maryland, agrees with Leslie. "People such as the Shers should be criminally prosecuted and put out of business," she said. "Mr. Sher's callous attitude from day one has been shocking, and yet, here comes our vindication — a little late," she said. "Some people lost their pets to these awful people's food." "I'm glad this (FDA action) finally happened. I feel relieved that, hopefully, no one else will go through what I have gone through with my dogs." In Deborah's case, her two healthy 10-pound Pomeranians became gravely ill in November 2008 after sharing a can Evanger's beef chunks. "Within half an hour, I was rushing to the vet," she recalls. "My dogs were unable to stand, hold up their heads, and they were blind. The vet stabilized them enough to allow me to then drive to the emergency animal clinic, where they were hooked to IVs, and my little guy even had his stomach pumped. He now has seizures, which started in the hospital. He is on a wide variety of meds...and now has a collapsed trachea and [has to use] an endotracheal tube." Deborah repeatedly contacted Evanger's about her dogs' illnesses, but says the company ignored her concerns. Her roommate finally reached the company's vice-president, Joel Sher. "And his comment, when told our dogs got sick from their food, was 'Oh, please'. He and his wife are all over the Internet, as well as an employee of theirs, posting information to have you believe they are a very concerned firm. Why not just be upfront? People deserve to know the truth, and I am talking about all of the issues people have had with their food, not just the horror we've gone through and are still going through." Deborah says her female Pomeranian has improved, "but the little guy will never be 100 percent." The FDA's latest action against Evanger's is the third in an ongoing series of enforcement proceedings against the pet food maker. In April 2008, the FDA issued an "Order of Need for Emergency Permit" against Evanger's. That action came after the FDA determined the company had "failed to meet the regulatory requirements to process a product that does not present a health risk." Two months later the FDA issued a temporary Emergency Permit against Evanger's. FDA officials said they took that action after inspections of the company between March 2009 and April 2009 determined "Evanger's was not operating in compliance with the mandatory requirements and conditions of the Temporary Emergency Permit." When the FDA announced its latest enforcement against Evanger's, the agency's Dr. Bernette Dunham said: "The FDA is stopping Evanger's ability to ship pet food in interstate commerce. Today's enforcement action sends a strong message to manufacturers of pet food that we will take whatever action necessary to keep unsafe products from reaching consumers." Before Evanger's can resume shipping products, the FDA said, it must prove that corrective actions and processing procedures have been made to ensure the company's finished product will not present a health hazard. Meanwhile, pet owners like Leslie are convinced that Evanger's isn't the only pet food maker on the FDA's radar. "They have to be investigating NUTRO," she told us. "When I spoke with the FDA's agent from Office of Criminal Investigations, I mentioned NUTRO and he said he was very aware of the problems. But he said 'I'm not working on that case.' He caught himself and said that (investigation) could be in the process. Every time I talked to him, he struggled to find a way to say he was not working on that case, but it seemed to me that he was deliberately trying to give me the impression that there was an investigation of NUTRO. She adds: "Why else would FDA agents not want to talk about it or the agency wouldn't release the NUTRO records [ConsumerAffairs.Com] requested under the Freedom of Information Act?" Leslie pointed out that the health problems her dogs suffered after eating Evanger's food with elevated levels of copper — vomiting, diarrhea, lethargy, and elevated liver enzymes — sounded eerily familiar to the ones pets eating NUTRO have experienced. "I'm seriously thinking that this is what's going on...that this could all be something a simple as the vitamins and minerals off," she says. "That can cause acute illnesses." Just last month, NUTRO recalled seven flavors of its dry Natural Choice Complete Care and NUTRO Max cat food, saying the products contained incorrect levels of zinc and potassium. The company blamed the problem on a production error by its U.S. premix supplier, Trouw Nutrition. One of the premixes, NUTRO said, contained excessive levels of zinc and not enough potassium. A second premix did not contain enough potassium. NUTRO claims it has not received any complaints about the recalled food, but warned cat owners to monitor their pets for such symptoms as vomiting, diarrhea, a reduction in appetite or refusal of food, and weight loss. ConsumerAffairs.com, however, continues to hear from cat owners who say their felines became ill — with those same types of symptoms — after eating NUTRO's recalled food. Some even suspects their cats' deaths are linked to the recalled food, and two contacted NUTRO regarding their sick pets. Tests run last August by the PFPSA revealed samples NUTRO's Natural Choice Chicken Meal, Rice, and Oatmeal formula and Nutro Puppy Max contained levels of zinc and copper that the PFPSA said exceeded the recommendations of the AAFCO. PFPSA's founder Don Earl says NUTRO's cat food recall — trigged by "incorrect levels of zinc and potassium" — gives credence to his organization's test results. "I feel a certain amount of vindication as a result, particularly as the symptoms are identical to those reported by legions of dog owners," he told us. ConsumerAffairs.com has received nearly 900 complaints from pet owners nationwide who say their healthy dogs and cats suddenly became sick after eating various flavors of NUTRO's pet food. The pets all have similar symptoms — vomiting, diarrhea, and other digestive problems. And in nearly every case, the dogs and cat became better after their owners stopped feeding them NUTRO. NUTRO maintains its food is 100 percent safe and meets all federal guidelines. But Leslie says those are nothing but empty words and promises. "The fact they keep saying nothing is wrong with their food and they are testing tells me that something is wrong. If they were testing the food, it wouldn't take an audit to find the problem. If they were testing the food, they would know that something is wrong." The active poster on many pet-related message boards adds: "I'm not in this to get any money. That's not my point. My point is that whether you're buying Evanger's or NUTRO or a store brand of pet food, you should be able to buy a product that is safe and doesn't make your pets sick."